If you are planning a private jet charter to Gilbert, Arizona, let Charter Flight Group plan your flight. With over 30 years experience in private jet charter flights, CFG flight consultants will be invaluable assets in saving you time. This is because there are so many airports in the Greater Phoenix Metropolitan, knowing exactly which airfield to make your entry point can be confusing; our flight consultants are trained to assist you in this matter, rather than expect you to just know, as some charter companies do. In addition, CFG prides itself on having the safest, most reliable, and luxurious private charter jet fleet available. With every imaginable private charter jet and turbo-prop planes available from which to choose, CFG has exactly what you need. Perhaps you only need a small twin-engine turbo prop; Charter Flight Group can provide that for your private charter flight as well. In short, it really does not matter what kind of private aircraft you need, Charter Flight Group can provide. As to safety, Charter Flight Group decided years ago that this would be the key to success and that formula has served us well. Rather than simply do what the FAA requires as some jet charter companies do, Charter Flight Groups contracts safety auditors such as Wyvern and ARG/US to carry inspections further. CFG also hires only the most professional flight crews, knowledgeable and professional pilots, and the most thorough maintenance personnel. This all adds up to one realistic conclusion: Your private jet charter flight arrives with you well-rested, relaxed, and on-time in Gilbert. In booking you private jet charter flight to Gilbert, there are numerous airports from which to choose. Everything from large, International airports such as Phoenix Sky Harbor to regional Airports such as Phoenix-Mesa, Tucson International to numerous smaller fields may be used for your journey. Much depends on the purpose of you private jet charter flight, the location of your lodging (if that matters), and whether privacy is a concern. These are all considerations that you will want to discuss with your private jet charter flight consultant, who is available 24/7 to help you plan your trip. Once your private jet charter flight has landed and you are ready to greet Gilbert, be sure to stop by the Gilbert Farmers Market, a large, open-air market from which you can stock up of some of the local delicacies. 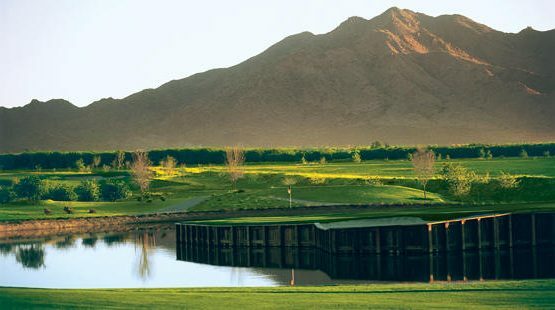 You are going to need your strength for whether in Gilbert for business or for pleasure, there is no shortage of places to go and things to do. 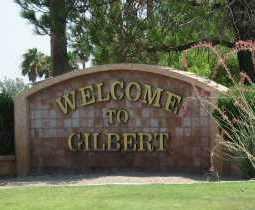 Indeed, Gilbert is part of the growing Metropolitan Phoenix area and as such it is enjoying an economy that continues to expand. Numerous major companies have relocated to Gilbert in recent years largely because of its proximity to Phoenix, Tempe, Scottsdale, Tucson, and of course, Mexico. The growth of NAFTA has brought considerable economic opportunity to the entire region and for anyone conducting business of any kind, there is a demand. Of course, if pleasure is the reason for your private jet charter flight to Gilbert, there is no shortage of delights here as well. The Gilbert Historical Museum and the Gilbert Rotary Centennial Observatory are a delight to young and old. The Boardhub provides wakeboarding lessons in the dessert…how cool is that? Then there is a fine, small theater named Hale Center, where, according to reviews, “no seat is bad.” Finally, no visit to Gilbert would be complete without a trip to Arizona Frontiers, an historic and archeological tour of the old west. Naturally, if these attractions are not to your taste, Phoenix is right there for you and there is literally anything to do in Phoenix. Why Select Charter Flight Group as Your Private Jet Charter? When you choose CFG for your private jet charter flight, you will not only enjoy luxurious comfort but also the peace of mind that comes from knowing that nothing has been left to chance. You will arrive at your destination relaxed because the flight crew ensured the smoothest flight imaginable. You will arrive refreshed because you will arrive on time. You will be ready to book the flight out with CFG because you will know what we already know. Charter Flight Group provides simply the best private jet flights anywhere one decides.